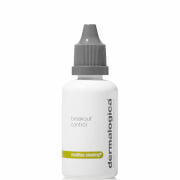 SD White & Bright is an advanced, clinical-strength skin lightening complex. See results in as little as 2 weeks. Our active ingredient - β WhiteTM - actively reduces melanin production, giving fairer skin with more even tone / reduced appearance of freckles, age spots, pigmentation and skin blemishes. SD White n Bright is a breakthrough skin lightening and brightening complex that contains clinically proven and effective ingredients to help target and prevent skin discolouration to help you achieve a clear, bright porcelain complexion. Problem: Sun exposure and skin ageing can cause an uneven production of melanin in the skin that can result in the appearance of freckles, sunspots, age spots, pigmentation or overall darker skin tone. Solution: SD White & BrightTM is a breakthrough skin cream containing an optimum level of the benchmark ingredient in skin whitening and pigmentation correction, β WhiteTM. β WhiteTM is shown to have a dramatic effect on melanin synthesis – the action by which skin pigmentation occurs, and is proven to significantly improve the appearance of darker skin pigmentation. Results: Even toned, brighter looking skin; visible reduction in pigmentation, freckles, age spots and surface blemishes. SD White & BrightTM also helps with the appearance of skin firmness and moisturisation, plus has the added benefit of UVA filters. Gently massage a small amount evenly all over your face or onto the desired area twice daily, avoiding your eyes and mouth.